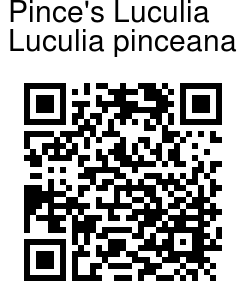 Pince's Luculia is an evergreen shrub, very similar to Pleasant Luculia, found in the so-called Khasia hills of NE India. 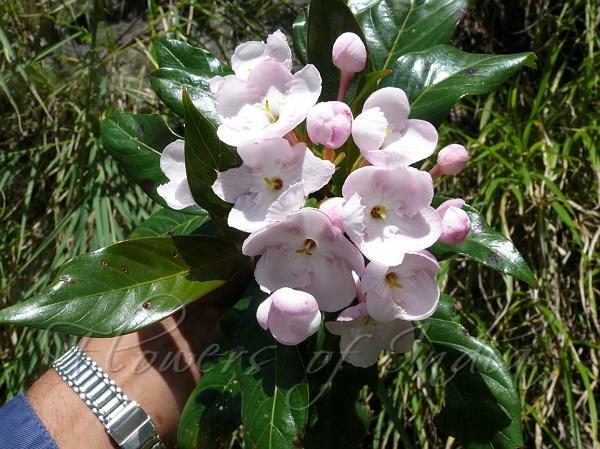 This plant resembles Pleasant Luculi in general habit, but has larger and more fragrant flowers. It has smaller, narrower, more leathery leaves, with more numerous nerves. The best character, however, to distinguish between the two species is the presence of a raised growth on the petals of the flowers of Pince's Luculia. It is an evergreen shrub growing to 3-5 cm tall. It bears large white or pinkish, fragrant flowers in large terminal domed clusters. Flowering: June-October. Photographed in Upper Dibang Valley, Arunachal Pradesh.